How Many Teaspoons of Sugar Are There in a Can of Coke? It's generally pretty safe to assume that any type of soda contains sugar. Regular Coke though, has an incredibly high amount of the sweet substance. If you're struggling to lose weight or if you see that number on the scale gradually going up, it may stem from those empty calories you're getting from your favorite bubbly beverage. A 12-ounce can of regular Coke contains 39 grams of total sugar, which is about 9 1/3 teaspoons of sugar. If you're reading the ingredients list though, you won't see sugar clearly listed. Coke in the United States is made with high fructose corn syrup as a lower-cost sugar alternative. High fructose corn syrup is actually the second ingredient in Coke, behind carbonated water. Sugar doesn't have any sort of recommendation because it doesn't do anything to nourish your body. It just provides calories. But health professionals recognize that it's OK to treat yourself once in a while with an indulgent snack. This is why the American Heart Association put together a maximum intake allowance for sugar. According to the AHA, women should have no more than 6 teaspoons per day, which is 25 grams of sugar or 100 calories from sugar. As a man, you can have up to 9 teaspoons of sugar daily, or 38 grams of sugar, which is around 150 calories from sugar. No matter your gender, a single 12-ounce can of Coke goes over the maximum sugar allowance for the day. Added sugars from junk foods add up to 16 percent of the caloric intake -- on average -- of the American diet, the Dietary Guidelines for Americans 2010 reports. The biggest offenders to all of these empty calories are sugary sodas and sports drinks. These drinks make up over one-third of the added sugar intake in the typical American diet. 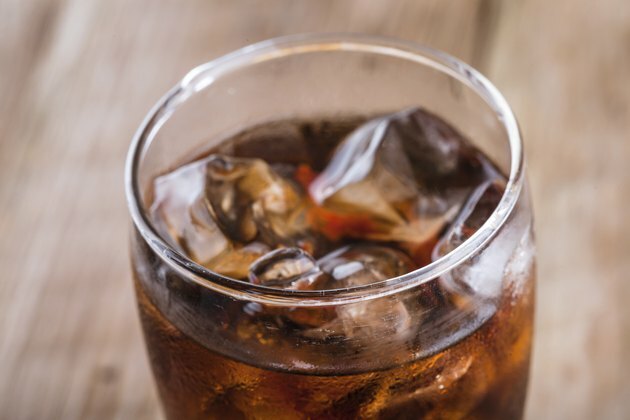 If you enjoy the flavor of Coke or need that afternoon sugar and caffeine fix, you'll probably want to find a lower calorie replacement. Because Coke is incredibly rich in sugar and doesn't offer you any vitamins, minerals or fiber, ideally, you should nix it from your diet all together. Sometimes though, you need a bit of a sugar fix and crave that fizzy feeling in your mouth. Start swapping out every other can of Coke for a soda water, spruced up with a dash of cranberry juice, orange juice or wedge of lime to get just a little sugar. As you adjust to the taste, eventually you might consider drinking soda water in place of Coke all the time. Of course if you need your caffeine kick, have yourself a glass of unsweetened iced tea, hot herbal tea or even black coffee. You'll get your caffeine without all the added sugar.